Starbucks is closing more than 8,000 U.S. stores on the afternoon of May 29 to conduct racial-bias training. Starbucks has an ambitious plan to try to address discrimination and unconscious bias by training nearly 175,000 of its workers one afternoon later this month. Following the inappropriate arrest of two black men at one of its stores in Philadelphia, Starbucks announced it would close more than 8,000 U.S. stores on May 29 to conduct racial-bias training. No company has tried such training on this scale, says an expert advising the coffee chain, and the effort puts the science of behavioral change to the test. Starbucks' push comes as behavioral scientists' view of how best to address bias is evolving. "Mitigating bias is one of the hardest things in human existence," says David Rock, director of the NeuroLeadership Institute, which he co-founded on the idea that brain science can inform leaders on how to better motivate their employees, for example, or help them learn more. Eliminating bias would require people to become completely self-aware and objective about their own thoughts, and Rock says no one's found a way to do that. "Any strategy that essentially relies on people to try not to be biased is doomed to fail; that's the heart of the problem," he says. But people are adept at identifying the biases of their peers. In his work as a consultant, Rock recommends workplaces develop what he calls "if/then" protocols, which involve decision-making by teams. For example: If a person asks for a raise, then take it to a committee. Or, if a man walks into a store and buys nothing, then consult colleagues about an appropriate response. Rock says this is an effective way to reduce institutional bias. "You've got to shift the focus from individuals trying not to be biased to teams being able to catch bias," he says. "There's decades of research showing that format of strategy actually is the best format for behavior change and habit formation." In other words, create structures that don't rely on the individual to change. Though the public is intrigued by the idea of Starbucks' half-day all-staff training on discrimination and bias, that is just the first in many steps the company plans to take to try to implement a better system, says Heather McGhee, president of Demos, a social advocacy group. 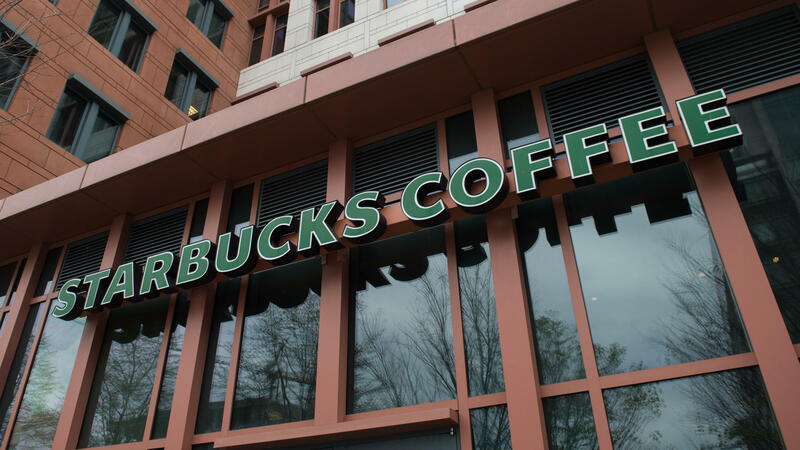 McGhee, along with former Attorney General Eric Holder and Sherrilyn Ifill, president and director-counsel of the NAACP Legal Defense Fund, are advising Starbucks on its training and policies. "Starbucks has very aspirational goals for the values it wants to set, both within its company and in the world," McGhee says. Because of Starbucks' reach, its public presence and large staff of about 175,000 U.S. workers, McGhee says she thinks of the company's initiative as a kind of ongoing public education program that she hopes will have broad reach. "So few companies, if any, have taken the kind of responsibility that Starbucks has to have said, a) this was about race, b) this wasn't just one bad apple and c) we have the right and responsibility to do something about it," she says. McGhee says her main goal for the training day is to create a shared language and understanding about why inclusion and diversity are critical for a company as public as Starbucks. She says she's glad the company was so quick to fully embrace that. "If addressing bias is not mission critical for your company, then you shouldn't do it at all, because it's just too difficult to do if it's not something that is essential to making your company succeed," she says. Howard Ross, an expert and consultant on bias training, says there are companies that have done this successfully. Denny's, the restaurant chain, faced a similar crisis in the 1990s, ultimately paying $54.4 million to settle a class-action suit brought by black customers. "They didn't try to shun the responsibility for it," Ross says. "They started looking at their organization from top to bottom and put in place a number of different things that seemed to move the organization in a very different direction." Within a decade, Denny's earned a reputation as one of the most minority-friendly workplaces — making Black Enterprise's list of "Best 40 Companies for Diversity" and topping Fortune's list of Best Companies for Minorities in 2001. Ross says that in addition to systemic change, workers need constant reminders about the company's priorities — such as a bullet-point list of reminders at the cash register — and ongoing methods of assessing its reputation among customers and employees. McGhee, the Starbucks adviser, agrees this is a work in progress — one she hopes will eventually spread to other companies. "I know that other CEOs have reached out to the leadership of Starbucks and said, 'We assume and we know that we have a problem with this too, so thanks for going first and we'll be watching.' " she says. Starbucks is preparing for an ambitious project in a couple of weeks. It'll train employees throughout the company on ways to eliminate discrimination and bias, even unconscious bias. This is part of the company's response to the inappropriate arrest of two black men at a Philadelphia Starbucks last month. Behavioral scientists have an evolving view of what's effective in addressing unconscious bias. NPR's Yuki Noguchi reports on some of the challenges. YUKI NOGUCHI, BYLINE: David Rock founded the NeuroLeadership Institute on the idea that leaders can learn a few things from brain science, like, for example, how to better motivate workers and get them to learn more or how to reduce the effects of bias. DAVID ROCK: Mitigating bias is one of the hardest things in human existence. NOGUCHI: Eliminating it would require people to become completely self-aware and objective about their own thoughts. Rock says no one's found a way to do that. ROCK: Any strategy that essentially relies on people to try not to be biased is doomed to fail. That's the heart of the problem. NOGUCHI: But Rock says people are adept at identifying the biases of their peers. In his work as a consultant, he recommends workplaces develop what he calls if-then protocols involving decision making by teams. If a person asks for a raise, then take it to a committee. If a man walks into a store and buys nothing, then consult colleagues about an appropriate response. ROCK: You've got to shift the focus from individuals trying not to be biased to teams being able to catch bias. There's decades of research showing that format of strategy actually is the best format for behavior change and habit formation. NOGUCHI: In other words, create structures that don't rely on the individual to change. Heather McGhee agrees. HEATHER MCGHEE: Starbucks has very aspirational goals for the values it wants to set both within its company and in the world. NOGUCHI: McGhee is president of the social advocacy group Demos. She along with former Attorney General Eric Holder and the NAACP is advising Starbucks on its training and policies. She says training is just one of many steps in what she calls an ongoing public education, one she says no other company has tried to tackle at such a large scale. MCGHEE: So few companies, if any, have taken the kind of responsibility that Starbucks has to have said, A, this was about race. B, this wasn't just one bad apple. And C, we have the right and responsibility to do something about it. NOGUCHI: McGhee says her main goal for the training day is to create a shared language and understanding about why inclusion and diversity are critical for a company as public as Starbucks. She says she's glad to see the company facing it. MCGHEE: If addressing bias is not mission critical for your company, then you shouldn't do it at all because it's just too difficult to do if it's not something that is essential to making your company succeed. NOGUCHI: Howard Ross, an expert and consultant on bias training, says there are companies that have done this successfully. Denny's, the restaurant chain, faced a similar crisis in the 1990s, ultimately paying more than $54 million to settle a class-action suit brought by black customers. HOWARD ROSS: They didn't try to shun the responsibility for it. They started looking at their organization from top to bottom and put in place a number of different things that seemed to move the organization in a very different direction. NOGUCHI: Within a decade, Denny's earned a reputation as one of the most minority-friendly workplaces. Ross says in addition to systemic change, workers need constant reminders about the company's priorities and an ongoing method of assessing its reputation among customers and employees. Starbucks adviser Heather McGhee agrees this is a work in progress, one she hopes will eventually spread to other companies. MCGHEE: I know that other CEOs have reached out to the leadership of Starbucks and said, you know, we assume, and we know that we have a problem with this, too. So thanks for going first, and we'll be watching. NOGUCHI: Starbucks will close on the afternoon of May 29 for the training. Yuki Noguchi, NPR News, Washington. Transcript provided by NPR, Copyright NPR.